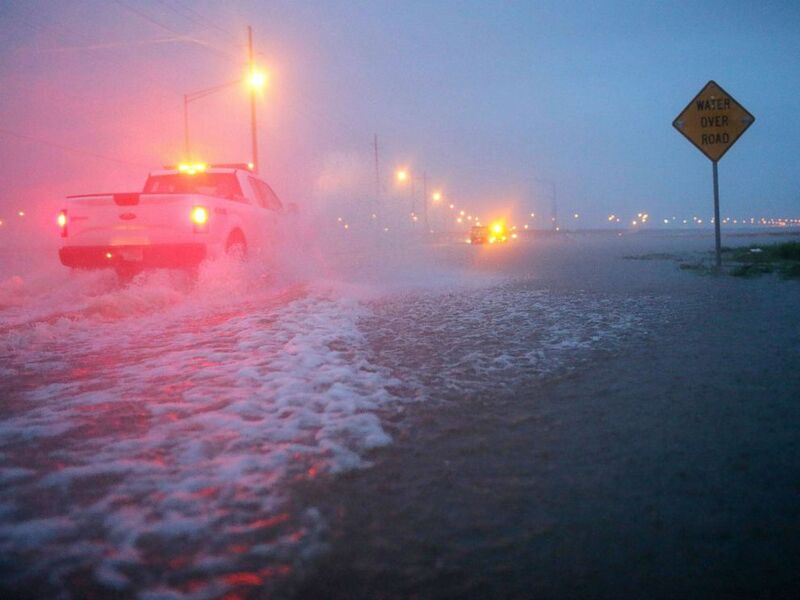 Gordon, which began as a tropical storm, is now a tropical depression, dumping heavy rain and causing dangerous flash flooding along the Gulf Coast. With hurricane season in full swing, Gordon may not be the last tropical depression to strike the U.S. this year. A tropical depression is an area of low pressure accompanied by thunderstorms with an organized center of circulation producing maximum sustained winds of 38mph. If the depression's circulation strengthens, producing maximum sustained winds of 39 mph to 73 mph, then it will be upgraded to a tropical storm. A tropical storm causes stronger and more damaging wind gusts, heavier and more prolonged rain and flooding, as well as higher storm surge. If the system further strengthens to 74 mph or greater, it is then classified as a hurricane. Hurricanes have five categories of their own based on wind strength. What are the effects of a tropical depression? Trucks with the Alabama Department of Transportation work to block off a flooded part of US Highway 98 while fighting rain from Tropical Storm Gordon, Sept. 5, 2018, in Spanish Fort, Ala. Tropical depressions are the weakest type of tropical cyclone, but don't be fooled -- they can still bring gusty winds, heavy rain, some storm surge, dangerous waves and rip currents. What causes a tropical depression? Tropical depressions occur when warm, moist air over warm ocean water starts to rise and a low pressure forms at the surface. As the air rises, the surrounding air swirls into the center to take its place, creating a center of circulation. Then the rising air cools and clouds start to form. The system keeps spinning and thunderstorms keep growing as they feed off of the heat and evaporation from the ocean.